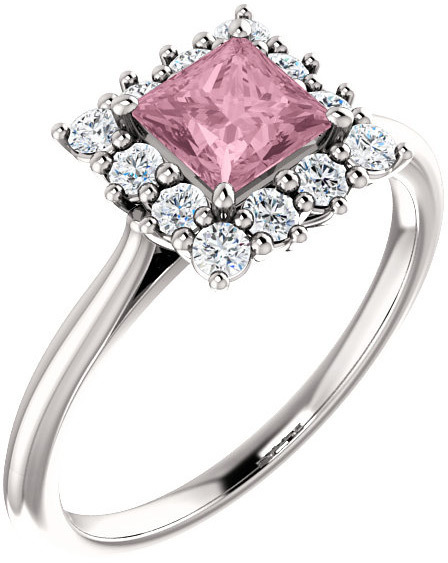 You'll love the beautiful baby pink hues in this genuine Swarovski-brand baby-pink topaz gemstone halo ring crafted in .925 sterling silver. 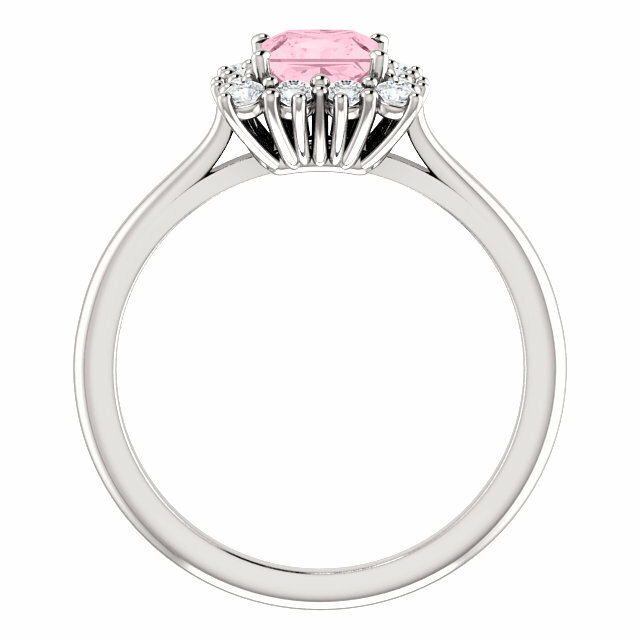 We use all real materials, including white topaz gems which create the halo effect around the center stone. The center stone is a princess-cut shape measuring 5mm x 5mm in size. Wear this by itself for just about any occassion, including with casual-wear or for a formal evening out. The versatility and beauty of this ring has no bounds. Available in sizes 4.5 - 9 for women. 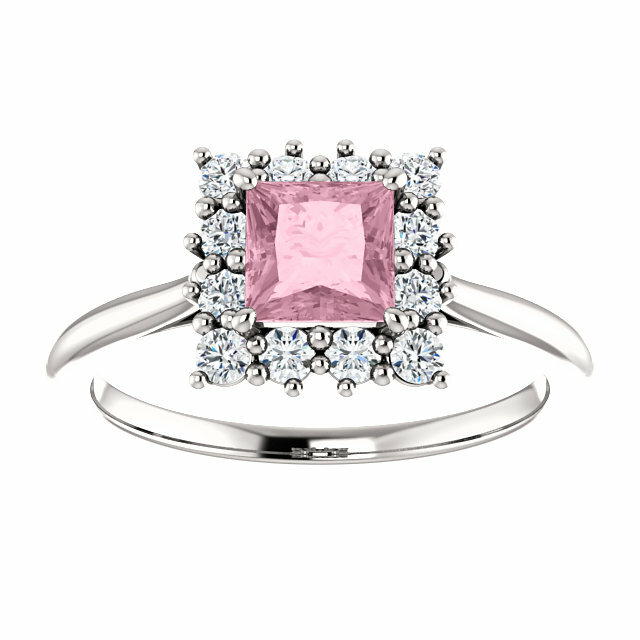 We guarantee our Baby Pink Topaz Princess-Cut Halo Ring Crafted in Sterling Silver to be high quality, authentic jewelry, as described above.